There are fans, there are ‘Super fans’, and then there’s the Ledbury Wolves. 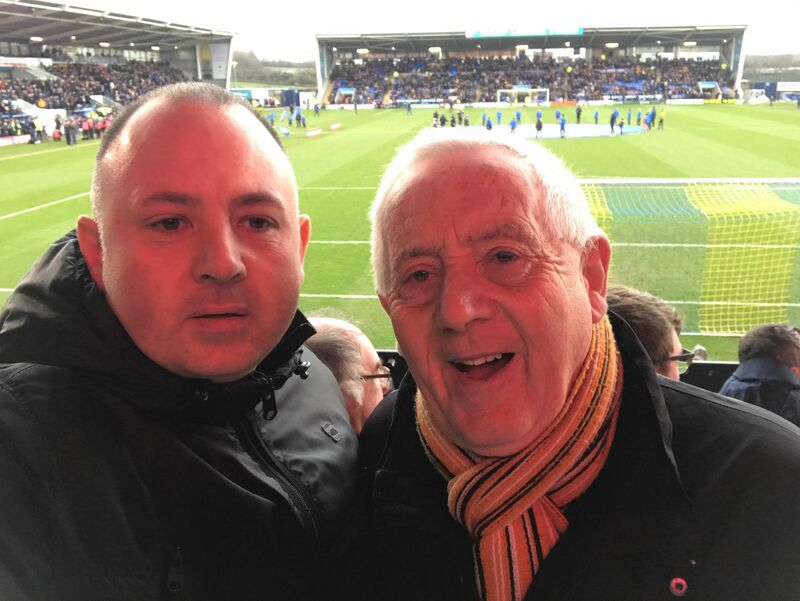 Father and son John and Anthony Reynolds, from the small Herefordshire market town of Ledbury, have missed just seven Wolverhampton Wanderers first team matches between them since 1974, despite living over 60 miles away from their home ground. 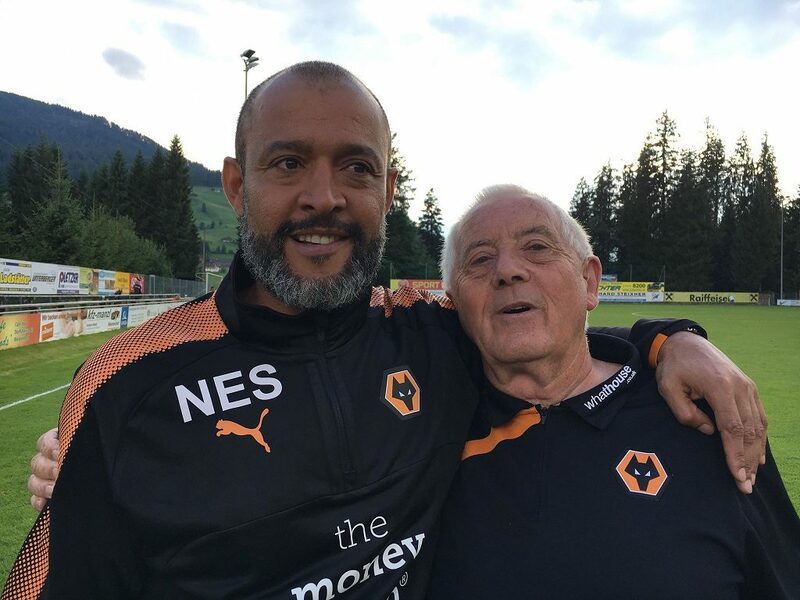 John, 77, started watching Wolves in 1954, when they won the old First Division for the first time. It was fortuitous timing as Wolves enjoyed a golden spell, winning the First Division again in 1958 and 1959, and the FA Cup in 1960. John has missed just two matches since. He took Anthony, 46, to his first match in 1974, when Anthony was just two years old, to the League Cup final as Wolves beat Manchester City 2-1 at Wembley. Anthony has only missed five matches since then. That adds up to around 3,000 games for John, and 2,000 for Anthony, all spent watching their beloved men in gold and black. So on the very rare occasions they’ve missed a game, what have been the reasons why? “We were playing Liverpool away and it was my brother’s wedding. My daughter was bridesmaid and my Dad said if you can’t go to your brother’s wedding when your daughter’s bridesmaid, I don’t think I’ll speak to you again. We’ll fall out,” said John. “The other one was because of snow. We tried from five or six o’clock in the morning to get out of Ledbury, to go to Ipswich. There was snow everywhere and no snow plough. Ipswich in those days used to take four hours on a good day. Ledbury being in such a dip, with the Malvern Hills on one side, and the Gloucester road which goes down and up on the other, we were stuck. It was 12 o’clock when the snow plough finally came along, which was no good,” said John. “They played the game and there was no snow in Ipswich!” added Anthony. Apart from these two matches which he missed along with his Dad, Anthony missed another game due to a broken leg, and John left the eight-year-old Anthony at home for a game when Wolves played PSV Eindhoven in 1980. “Even when we had trouble at Scarborough in 1987 and Wolves fans were banned from going to games for ten matches, we managed to get into all of them,” said Anthony. 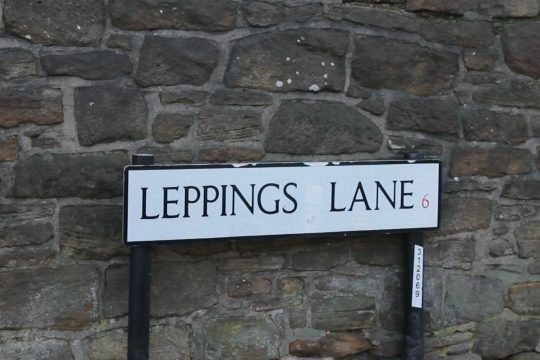 “When we got tickets they wanted to know where we lived from the postcode, but with a Herefordshire postcode and without Black Country accents we were okay, but it was still difficult. John’s earliest memory of following Wolves is of watching the iconic Billy Wright lead them to victory over Honved, in front of 55,000 fans at Molineux in December 1954. Honved were the Hungarian league champions containing many of the ‘Mighty Magyars’ side that had finished as World Cup runners-up that same year, including forward Ferenc Puskas, widely regarded as one of the greatest footballers of all time. The match was broadcast live on BBC television as Wolves won 3-2, in a game that was instrumental in the formation of the European Cup the following year. So have their lifelong obsessions with Wolves ever caused rows with their wives? “If it did I just put her in her place and told her I’m going!” said John. “We have a good holiday every year, between the end of May and early July when the friendlies start, she has eight weeks to choose a holiday,” he adds. “My other half knew before we got married what I was doing, and at the time she was playing a lot of golf so it worked out quite well, it’s just a way of life now,” said Anthony. What have been the biggest changes at the club since the last time they were in the Premier League seven years ago? “We’re a lot more continental now, we’ve got so many Portuguese players, and we’re probably bordering on being the richest club in the league which is amazing,” said Anthony. From being the best team in the land in the late ‘50s, Wolves plumbed the depths in the mid 1980s, nearly being wound up and suffering three successive relegations that saw them playing in Division 4 for the 86-87 and 87-88 seasons. “I remember being a mascot in the ‘80s when we were playing in front of about 2,000, now we’re playing in front of 35,000 every week and the standard of football is ridiculous,” said Anthony. The club’s travails up and down the leagues at the time meant that by 1988 Anthony had already visited all 92 Football league grounds while following his own club, at the age of just 16, with Bradford City being the 92nd. Looking back he is annoyed that he didn’t get in touch with the Guinness book of Records at the time. Having visited so many other clubs, other than their beloved Molineux which is their favourite ground to visit? And their least favourite? “I don’t like Crystal Palace much,” said John. “The viewing’s not great, it’s an oldish ground, and it’s difficult to get to,” added Anthony. What about opposing fans? “I’d say the Geordies are the best, they just come down and enjoy themselves. They’ve always got big numbers,” said Anthony. “Man United fans I’ve never liked. They always seem to think they’ve won every game before they play it. Because they’ve had that winning mentality that’s what it produces. They’ve just got that attitude,” he added. Having watched so much football over the years, how do the two of them feel about the modern game compared to the old days? “The quality’s definitely changed for the better, apart from the refereeing. Some of the tackles you had in the ‘50s…nowadays they just fall over,” said John. “The way they play now is a great improvement but we do miss out on the tackling,” said Anthony. “It’s a very continental way now, they all eat properly and keep fit. In years gone by they’d have three pints before they went out to play,” he added. Perhaps surprisingly John picks out Bert Williams, nicknamed ‘The Cat’, who was Wolves’ goalkeeper from 1945-59, as his favourite player, and mentions Derek Dougan as another favourite player and great character. For Anthony however his favourite has to be Steve Bull, their amazingly prolific striker who racked up a club record 306 goals, including 18 hat-tricks, between 1986 and 1999. Having been to so many games, which ones stand out as the most memorable from all their time watching Wolves? For John the Division 1 Playoff semi-final vs Reading away in 2003, which Wolves won on the way to getting back into the top flight for the first time in 20 years, is the standout. Anthony meanwhile recalls Steven Hunt’s late winner at home against Blackburn in 2011 that kept Wolves in the Premier League. What does a fellow Wolves fan from Ledbury think of this remarkable pair of supporters? Anthony’s second cousin, Darren Cooke, is a more casual Wolves supporter who has been to many games with the two over the years. “John is a legend and knows his way round the country. When me and Anthony were 17 we used to go to Wolverhampton on the train and have a few drinks round town before going to the game, then we’d come back with John. Not once did I ever hear him complain about us being hammered or about Wolves being rubbish. His life is his family and Wolves, and Molineux is his and Anthony’s second home. I remember going to Sunderland away and they wouldn’t listen to sport on the radio, so when we got to Sunderland some lads came over and said haven’t you heard? It’s been called off! John still drives to Ireland now and again because an ex Wolves player’s brother has a bar. He drives there for a couple of nights, just because it’s Kevin Doyle’s brother. With Wolverhampton currently 7th in the Premier League and with an FA Cup semi-final coming up on Sunday, this season has been one of the most enjoyable for both John and Anthony. “The last few seasons since Nuno has been there I’ve been ecstatic, and running around like a 25-year-old, waiting for my heart to pop, it’s like going back to the old days,” said John. 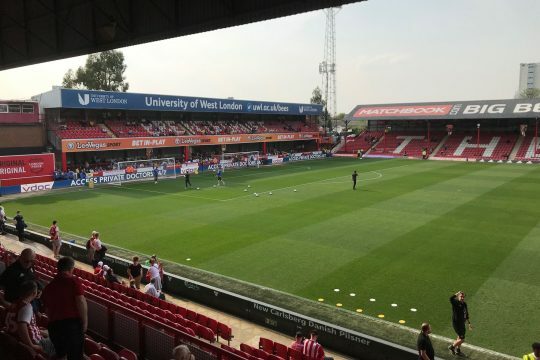 “Since the new owners took over it’s gone from strength to strength, they’ve got the fans more in touch with the players, kept the season ticket prices down, but it’s also down to the manager and what he’s getting out of these players,” said Anthony. 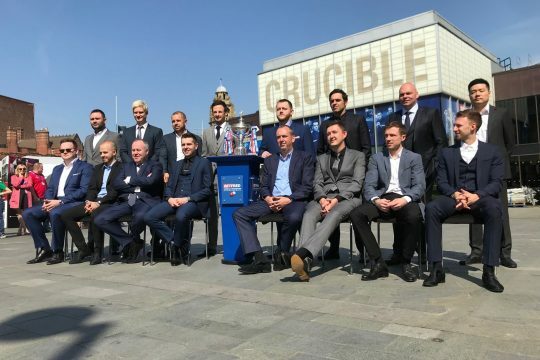 “There are fathers and sons at every club, we’ve done over 100 years together combined now, I’d like to know who else has done something similar at other clubs across the country,” he added. They may also be travelling further afield than ever following Wolves this Summer. 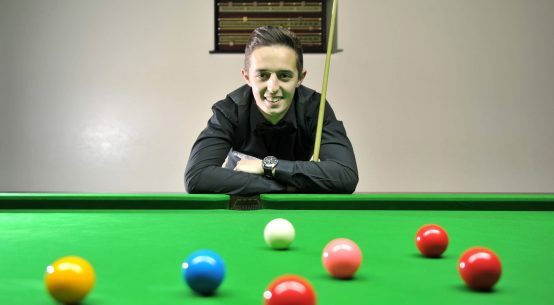 “All being well we’ll be going to the pre-season Asian Trophy in China in July,” said Anthony. And what are their hopes for Wolves in the near future? “Hopefully we win on Sunday, and get into the final and win that. If we don’t it might work out that 7th position gets us into Europe as well, so we’ve got two bites at it,” said John. “I spoke to the manager on a pre-season tour in Austria a few seasons back. 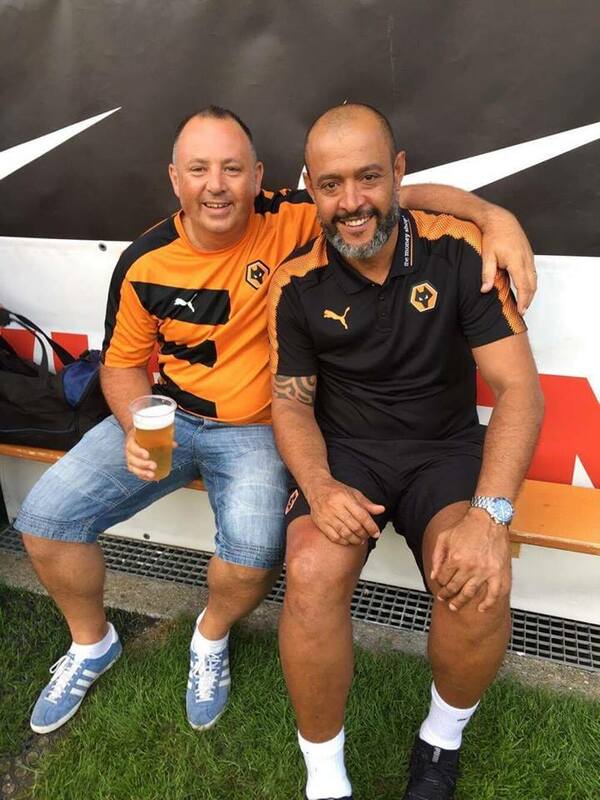 Nuno was sitting on the bench and I’d had a few bevvies, I sat down by him and said to him if you do the right thing you can make this club massive. Thanks to John and Anthony for the use of three of their photos.